Despite a perceived convergence in mobile application development, platforms such as Android and iOS remain largely incompatible. Supporting multiple platforms currently requires either separate native development (for each system) or utilization of a cross-platform development framework. While many such frameworks have been developed, only few are mature and even less are used widely, let alone commercially. Moreover, they typically are limited with regard to performance and to preserving a native look & feel. Worst of all, their usefulness for business apps is limited due to their low level of abstraction. 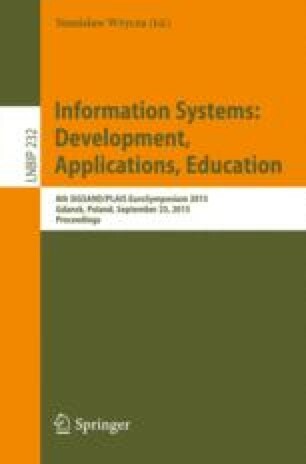 In this paper, we take a closer look at an academic prototype that employs model-driven software development (MDSD) for a cross-platform framework that facilitates business app development. We discuss lessons learned from its development and early application, reengineering it with business producibility in mind. We aim at closing a design-oriented research gap: we describe what the approach to employ MDSD in mobile computing is and to what extent it might be useful in general. These findings are embedded in a case-study inspired discussion of the aims of reengineering the approach. We would like to thank Sören Evers and con terra GmbH for their contribution to the reengineering of MD\(^2\). Sören’s work is particularly reflected in Table 1. Additionally, we would like to thank Klaus Fleerkötter, Daniel Kemper, Sandro Mesterheide and Jannis Strodtkötter for their contribution to the first version of MD\(^2\).